The time has finally come. It is time for my Playoff Predictions. 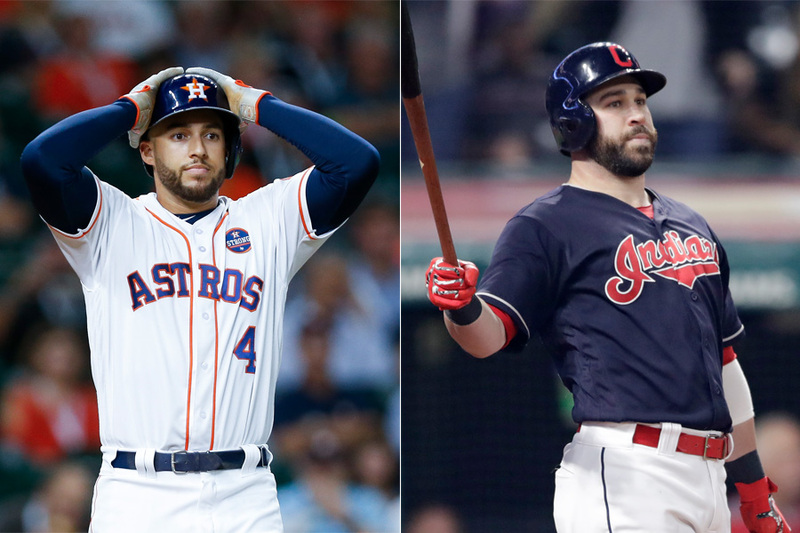 If you have lived under a rock for the past 5 weeks, here are my division breakdowns: NL West, NL East, NL Central, AL East, AL West, and finally, the AL Central. Check those out if you do not see your team in the bracket, but let’s get it going. We’ll begin with the American League. Previously, I mentioned that the Yankees, Astros, and Indians would win their respective divisions and that still holds for me. For the Wild Card, give me Boston and Kansas City. For that matchup, give me Kansas City. So the ALDS will be Houston vs Cleveland and New York vs Kansas City. Let’s take a look. This will be the most lopsided playoff matchup, record wise. I think the Yankees will have the best record in baseball while the Royals are out to shock the world. This matchup will truly be the best vs the surprising team and I think the Yankees have the upper hand. The Yankees will win this matchup due to their offense and their bullpen. The Yankees have the upper hand in almost every series due to their bullpen and I think it makes it even easier for them to move on from the Royals. I think Paxton will lead the rotation in the playoffs followed by Sevy and then Tanaka. I think the Yankees win this series in 4, with them closing it on out the road. Yanks advance. This has become a matchup that everyone just expects anymore. The Indians have zero competition in the central while the Astros only competition is the Athletics. There is really no reason to go further into this because the Astros are just the better all around team. Their pitching and their hitting is far superior than the Indians so take them to win this series in 5. ‘Stros advance. The matchup that everyone has wanted since the 2017 postseason. When they went to 7 games in `17, the Yankees almost pulled off one of the most shocking World Series appearance in history. But with the young talent growing up, this sets up to be the best ALCS we have had in recent history, maybe ever. I think the Yankees hold the advantage here and in a way I think they will bring the confidence they brought in 2017 and run away with it. With a healthy team, this Yankee team cannot lose to anyone. But what scares me is that they always have injuries. If they are healthy, they win this series in 5 in Houston, but the Astros have a chance. If the Yankees rotation isn’t healthy and either Judge or Stanton is out, they will not beat Houston. But, I like to think that they’ll be healthy. Yankees in 5 and advance to the World Series. Let’s break into the National League. If you remember, I took Atlanta, Colorado, and St. Louis to win their divisions. For the wild card, I’ll take Cincinnati and Philadelphia. I love the Reds this season. I love how much they did in the offseason and I know how electric Great American would be if the Reds do make it. I think Harper will do everything he can to get the Phillies to play meaningful games, but ultimately I think the Reds advance to face the Rockies. This will probably be the best postseason series we get until Yankees Astros. The Reds are going to be a scary good team, especially when/if they click. Their rotation has a year under their belt and we all saw last season that they improved as the year progressed. I think their rotation is their main weakness and they buffed it enough to maintain their defense while their offense explodes. For Colorado, I think Arenado and Story will take this them as far as they can. I do not think it will be that far in the playoffs, but I know they’ll at least get them there. I was going to take the Rockies, but give me the Reds in 5. They remind me a lot of the Yankees in 2017, meaning I think they’ll stun some people. At some point I promise I’ll have the Braves win something, but I still think they are a year away. They have the lineup, they have the star, but they do not have too good of a rotation. I think the Phillies will push them until the final day and the Braves will not have any time to rest their players. For the Cardinals, Paul Goldschmidt is about to be the best player on that team. They are so inconsistent or at least they were. 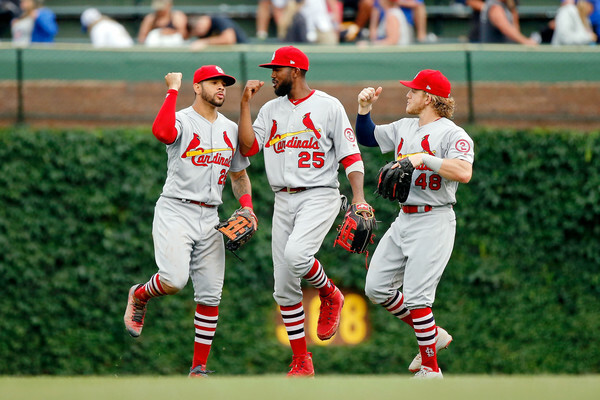 What scares me for the Cardinals is their offensive production, especially Yadier Molina and Harrison Bader. I think Molina is about to take the turn for the worse while Bader is about to have his best season. He needs to produce offensively because once he is on base, everyone knows he is trouble. I’ll take the Cardinals in 4. As much as it pains me to say, Cardinals win this series. Reds are too young and I think the Cardinals are just going to be explosive this season. It’ll be a good series but the Reds will run out of gas. Won’t say anything else on it, Cardinals in 7. This is it, my World Series prediction. Folks, this will break up my girlfriend and I. She is a huge Cardinals fan and in a way, I hope this happens just because it is bragging rights for life. Look, the Yankees are the far better team in this matchup. Judge will completely own the lack of rotation in St. Louis while they’ll struggle to find their groove against Paxton, Tanka, and CC. It’s not bold to predict the Yankees to win, but I think they sweep. Yankees in 4. My bold prediction though: CC Sabathia wins the World Series MVP. Can’t wait to post this in October and brag about how right I was. WE WANT TO HEAR FROM YOU. Please interact with us on Twitter, Facebook, Instagram with your pick and your reasoning. If you end up being right, we’ll give you a free shirt. Be sure to tag us in your response.